At the Mexico-US border, between Tijuana and San Diego, the border wall slashes the beach and dives into the ocean, unnaturally separating thousands of friends and families. But one woman sees things differently. 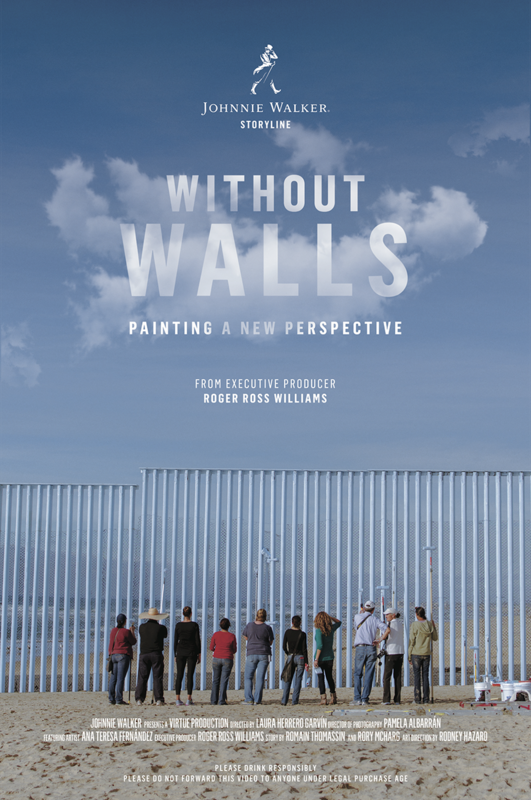 Mexican-American artist Ana Teresa Fernández gathers a peaceful commando in order paint the fence away. Together, they erase the border. This documentary is part of the Johnnie Walker “Storyline” initiative, a documentary platform which aims to celebrate creative minds who “keep walking” despite adversity. After concepting the overall Storyline program, I uncovered this border story based on Ana Teresa’s art piece “Erasing the Border”. I wrote the documentary structure and supervised the creative aspects of the film in close collaboration with the director.